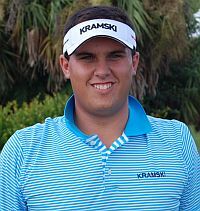 JUPITER, Fla. – Greg O’Mahony of Tequesta, FL, birdied the par-5 17th hole two days in a row and squeezed out a one-stroke Minor League Golf Tour victory Thursday at Abacoa Golf Club. O’Mahony, 30, shot 67-68—135 to edge three players who tied at 136 among 32 starters. In addition to the 17th, he also birdied the par-5 second and 10th holes and went par-bogey at the long sixth. In 36 holes, he made 12 birdies and three bogeys. It was his 23rd title since O’Mahony joined the MLGT in August, 2009. A former college All-American at Nova Southeastern University in Davie, he received $1,200 from the $6,080 purse, raising his career earnings to $95,714. O'Mahony also won the Web.com Q-School Contest which consisted of back to back 2-day events. Greg finished tied for 2nd at (-3) in the first half of the contest at PGA National Estates course and with his win here at Abacoa (-9) he finished (-12) for the 4 days, one shot clear of Brandon Smith. The Minor League Golf Tour will pay O'Mahony's 2016 Web.com Q-School entry fee of $4,500. Brandon Smith will recieve $900 to put towards his Web.com Q-School Entry Fee. Seven of the 32 players chose to enter the optional $200 bonus pool creating a purse of $1,400. 1st place paid $733, 2nd $467, and 3rd $200. Greg O'Mahony won the bonus pool, Brandon Smith finished 2nd, and Eric Cole and Josh Hart tied for 3rd. The bonus pool pays the top third and is there for players that want to play for more than the original entry fee in the tournament. 100% of the bonus pool entry goes into the bonus pool purse. The 59th tournament of the year drew 32 entries. The MLGT now heads into its annual summer vacation. 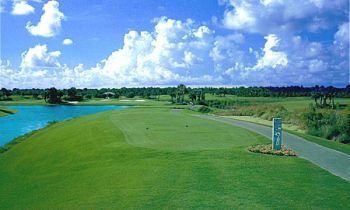 Play resumes July 11 at Indian Spring CC west of Boynton Beach. Since it began in August, 2004, the Jupiter-based mini-tour has played 1,373 events. JUPITER, Fla. - Josh Hart from Jupiter, FL, birdied his final 3 holes Wednesday to shoot 66 and lead the 2-day event at Abacoa Golf Club. After boging No. 3, Josh made 7 birdies and no bogies. Just one shot back after firing 5-under par 67's are Greg O'Mahony from Tequesta, FL and Jacob Eggers from Vilas, NC. Eggers had a flawless card that included 5 birdies while O'Mahony had one more birdie but a bogie at the tough par-3 13th to go along with it. In the Web.com Q-School contest, Josh Hart's 6-under par 66 catapulted him into the lead past overnight leader Drew Page. Page's 3rd round 71 has him at -6 for the contest and in a tie for 3rd. The Web.com Q-School contest consists of back to back 2-day events where the low 4-day score of the players that entered the optional $200 contest wins a full paid entry into 2016 Web.com Q-School. 27 players chose to enter the contest. Because more than 25 players entered the contest, the 2nd place finisher in the contest will win $400 towards their Web.com entry fee. 50% of the field earns a check. Open to all players, you do not have to be in the Q-school contest to play. Optional $200 Web.com Q-school contest where the low 4-Day total score wins a full paid entry into 2016 Web.com Q-school!